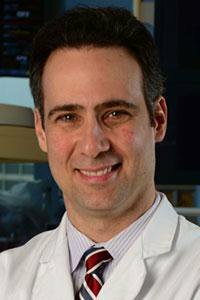 Neurologist Raul Nogueira’s clinical research on thrombectomy, a life-saving intervention after ischemic stroke, is getting recognition – in non-traditional ways. A group of Korean neurologists and radiologists recently analyzed the most mentioned neurointervention papers by “altmetrics.” Altmetrics measure the impact a research paper has by looking at online discussion – in international news media, blogs, Wikipedia and social media platforms, as well as attention from post-publication peer-review and patient advocacy groups. As it turned out, one of Nogueira’s papers was the most mentioned and he was also an author on 12 of the 101 top articles. Nogueira was the first author of a 2018 paper in the New England Journal of Medicine, reporting on results from the DAWN trial. The study was a landmark, extending the time window for thrombectomy to 24 hours. Those treated with thrombectomy in addition to standard care regained significantly more functional independence after 90 days than those who received standard treatment only. Another recent example that fits within altmetrics: The DAWN study was cited by the American Heart Association as a top research finding in stroke for 2018. Nogueira is a professor of neurology, neurosurgery and radiology at Emory University School of Medicine and director of endovascular services at Grady Memorial Hospital’s Marcus Stroke & Neuroscience Center. Thrombectomy is the removal of a clot from a blood vessel in the brain – in this case, through a mechanical stent-retriever device.